Helen O'Grady Drama Academy in Macao finished the Production Term at end of June 16th, 2015. 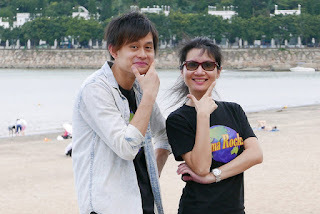 But prior to that, after the last rehearsal for "Pirate Joe" the drama teachers spent a couple of hours exploring Coloane Beach ("Black Beach") in Macao. 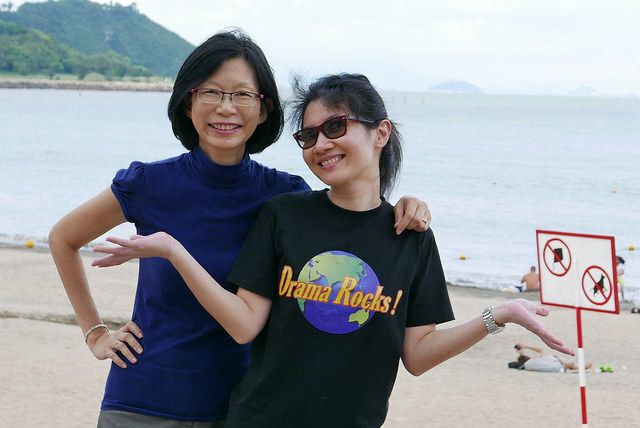 This was on Saturday June 13th when Nancy together with Teachers Lawrence and Francine took a stroll along this beach for the first time! Lots of fun -a winning smile and dramatic pose! To end the day, the team went for a musical Disney's "Beauty and the Beast's "opening night at The Venetian Theatre! It was the best way to celebrate the end of a production term for the team!